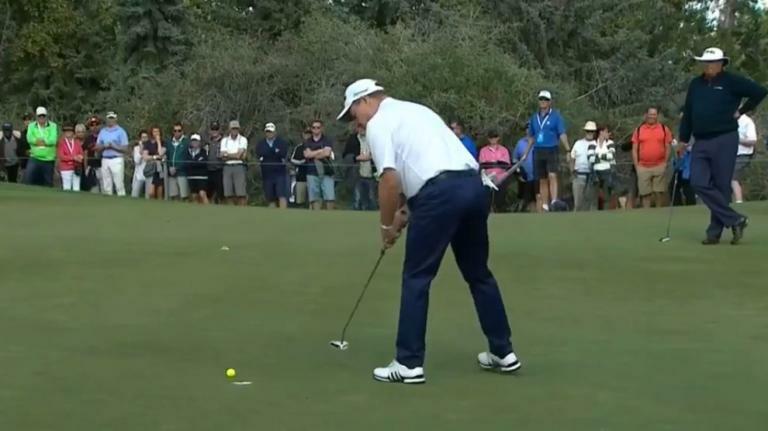 When your opposition stands over a two-foot putt in competitive matchplay golf - like you'll see at this week's WGC Match Play on the PGA Tour - you are left with two options: call it a "gimme" (conceding the putt either with a nod, a "yup, good", or powerful stroll off the green) or wait for the sound of loose change. Gimmes, as you would expect, have provided numerous talking points in professional golf events down the years - none more so in recent years than at the 2015 Solheim Cup when there was a mix up between the concession of a small putt. It all centred around an argument on the 17th green of a fourballs match between European duo Suzann Pettersen and Charley Hull and American pairing Brittany Lincicome and Alison Lee. Lee missed her 12-foot putt for birdie, running the ball no more than 16 inches past the hole. Hull walked off, in a gesture most golfers would recognise as the concession of a small putt, and everyon had assumed the match was all square going down the last. But Pettersen was having none of it, claiming there had been no such concession. After a long, emotional dispute between all parties, the referee came over to bring the sad news that it was an immediate loss of the hole for the Americans. Hull and Lee were reduced to tears, and for many, the whole incident spoiled what was one of the most impressive displays of golf ever witnessed at a Solheim Cup before, with the United States eventually running out 14.5-13.5 victors. Of the incident at the time, Britain's most successful ever golfer Laura Davies said: "Disgusted. We have got our best player, Charley Hull, who has just won a point and she is in floods of tears. "That tells you the wrong Suzann has done. How she can justify that I will never, ever know. "We are all fierce competitors, but it's ultimately unfair. Poor old Alison Lee must think 'I hope to never play in a Solheim Cup again'." The debate still rages on today, and it's now something Pettersen unfortunately has to live with wherever she goes. 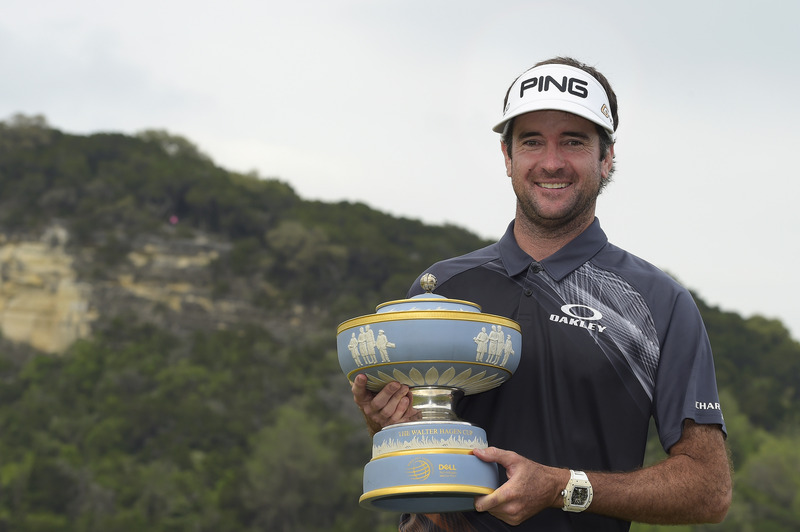 So ahead of this week's WGC Match Play Championship in Texas, we're fuelling the debate further about gimmes. Should they be removed from the Tour altogether to prevent the unfortunate scenes that unfolded at the 2015 Solheim Cup happening again? Jordan Spieth admitted during the 2016 Ryder Cup that the subject of gimmes remains a ticklish subject. "I just stepped back and let Patrick make the decision." Jim Furyk followed suit: "If I had given a guy five two-footers during the round and we're on the 12th hole and all of a sudden I'm putting a two-footer, I'd be scratching my a head little bit." 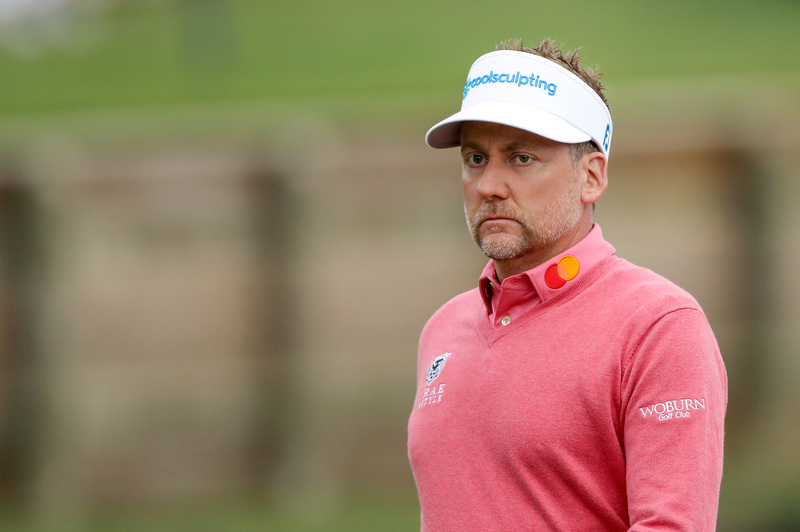 Matchplay maestro Ian Poulter, on the other hand, is more than prepared to putt 'em all out. "I couldn't give a hoot if someone doesn't give me a two foot putt, because I'm not going to miss it." And anyone that plays against former WGC Match Play champion Jason Day should be too. "I didn't give Russell Henley a two-footer, like two or three times I didn't give him a short putt. He turned around and he was getting angry. I could tell he was of kind of getting a little pissed at me." SHOULD GIMMES BE REMOVED - YES OR NO? For us, gimmes should remain during friendly rounds with pals. After all, nobody likes to see someone three-jabbing from inside three-feet and scuffing the green around the cup. Not to mention acting as a major case for speeding up pace of play. 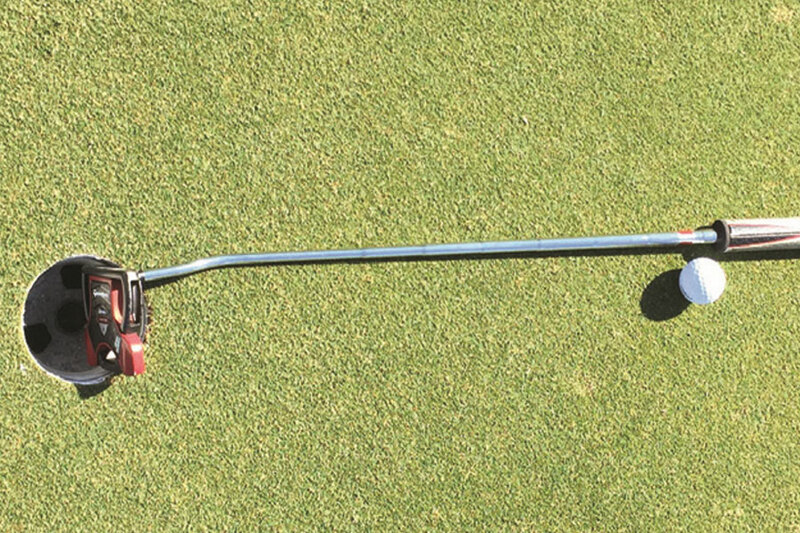 But we certainly believe gimmes should be removed in professional and club matchplay events. So far this season, the stats on the PGA Tour say that there only 45 players with a 100% record of holing putts from inside of three feet, with Vaughn Taylor holing the most of anyone with 385 out of 385. At the other end of the spectrum, Ryan Armour has missed seven putts inside of three feet this season (303/310), while a number of players have missed six including Hideki Matsuyama (312/318). Tiger Woods has even missed three of 159 putts from inside three feet. Even if the ball is hanging on the edge of the cup, we say let's see it in. The player might whiff it, double hit it, who knows? Just ask Joe Durant recently - WATCH THIS! Taking a look at Rory McIlroy during his phenomenal 2014 PGA Tour season, of the 523 three-foot putts he faced on the PGA Tour that year, he still missed nine. Seven players held a 100% record in the 'inside three-feet' stat that year, but Lucas Glover missed 30 of his 592 attempts (5%). If that is how a Tour Pro performs from close range, just think what the percentage would be of your club opponent?! At the risk of causing too much footfall damage around the hole, let's put an end to the gimme and see 'em all in please. After all it’s what late golfing great and record 82-time PGA Tour champion Sam Snead would have wanted. What is your take on gimmes? Should we get rid of them for good, or are they a benefit to the game, especially where pace of play is concerned? Share your thoughts on our social media channels.